As Huckleberry Finn opens, Huck is none too thrilled with his new life of cleanliness, manners, church, and school. However, he sticks it out because of Tom Sawyer, who tells him that in order to take part in Tom’s new “robbers’ gang,” Huck must stay “respectable.” All is well and good until Huck’s brutish, drunken father, Pap, reappears in town and demands Huck’s money. The local judge, Judge Thatcher, and the Widow try to get legal custody of Huck, but another well-intentioned new judge in town believes in the rights of Huck’s natural father and even takes the old drunk into his own home in an attempt to reform him. This effort fails miserably, and Pap soon returns to his old ways. He hangs around town for several months, harassing his son, who in the meantime has learned to read and to tolerate the Widow’s attempts to improve him. 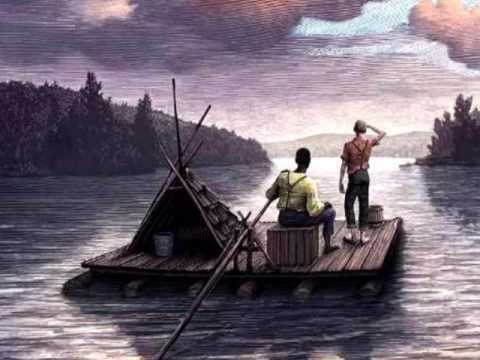 Finally, outraged when the Widow Douglas warns him to stay away from her house, Pap kidnaps Huck and holds him in a cabin across the river from St. Petersburg.